The Probe Atomiser odour control unit uses a spinning head and centrifugal action to splice water into billions of microscopic droplets producing a uniformed light mist which covers up to 30 metres. This odour control unit never blocks, is highly reliable and can be employed in any location, inside or outside for odour and dust control. 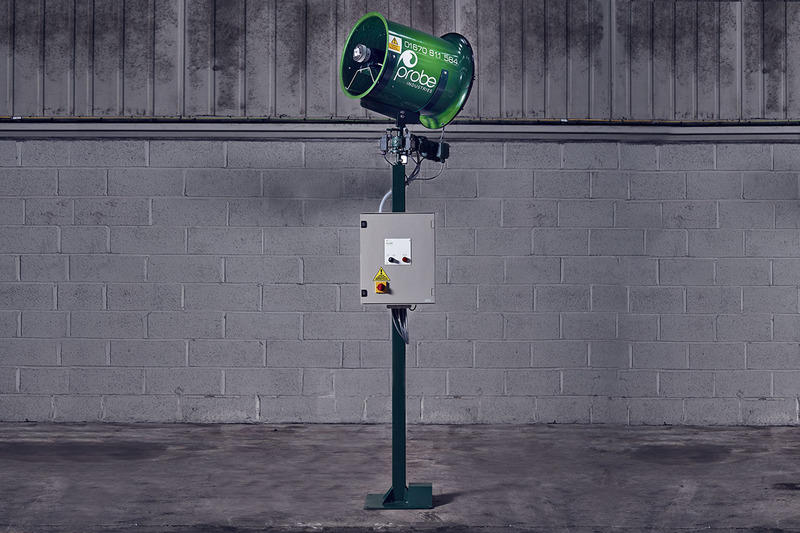 The Floor Mounted odour control system is a stand-alone 2.5 metres Atomiser secured to either a concrete base or similar fixed-level surface using Rawl bolts or clamps. Can also be fitted with an oscillation kit, which increases the spray coverage by 180° (optional extra).